The emergence of lithium as a staple commodity of world markets has been rapid, to say the least and as such it has brought several Australian ASX listed companies into play including Lithium Australia (ASX: LIT). What sets LIT apart from others in this space is this is not just a lithium exploration company, LIT also owns boundary-breaking lithium extraction, and processing technologies otherwise known as SileachTM and LieNaTM. These technologies have the ability to process all lithium silicates without roasting. LIT’s blue-sky potential is rooted in the fact that this still-small ASX lithium developer, could have the keys to unlocking high-grade lithium for any manufacturer, or end-user, at a fraction of the current cost using its ground-breaking technology. LIT’s progress on exploration has also been excellent in the last two years. In combination with its technology, its flagship Sonora project in Mexico and Gascoyne Project in Australia, has helped to propel it from micro-capped lithium explorer, to a lithium technology company wielding sought after technology. In recent times, LIT’s exploration news flow has picked up pace rather quickly. The most recent news is that LIT is drilling in Mexico now. LIT’s first lithium drill hole at its Agua Fria Project in Sonora Mexico was a success for LIT and JV partner Alix Resources (TSXV: AIX), with strike potential verified at more than 5km and drill intersection of lithium bearing sediments commencing at surface. Drilling at this Project is progressing well with five completed holes totalling 627 metres and assays only received for hole AF-17-001, meaning there are plenty of potentially positive results to follow. 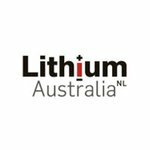 Furthermore, LIT and its wholly owned subsidiary Lithophile Pty Ltd has title to substantial area prospective for lithium mineralisation in the Gascoyne Province of Western Australia. The Gascoyne Project consists of five exploration licenses just 800km from Perth and lies along strike adjacent to the Nardoo Pegmatite District. The Project will fill an important role in LIT’s long term strategy to procure alternative lithium sources to feed its 100% owned Sileach processing technology. 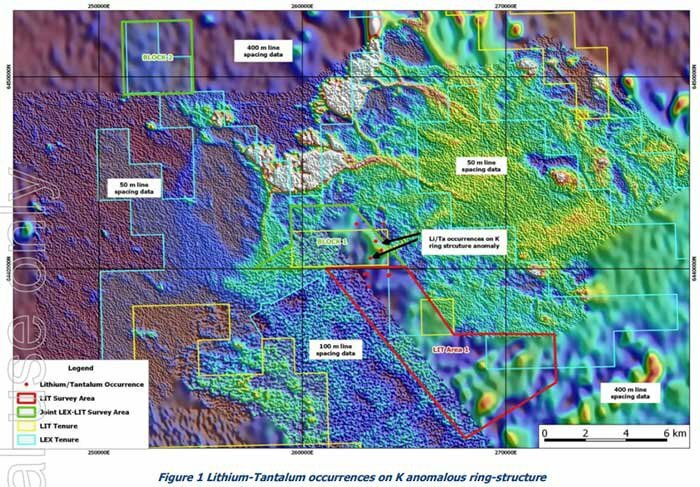 Furthermore, the company has secured 1000km 2 of identified base metal occurrences with strong lithium potential, known as the Amber Project in Queensland, 1350km from Brisbane. LIT may also have a graphite project up its sleeve after subsidiary Blackearth Minerals acquired the exploration rights to Capricorn Metals graphite assets. That’s just the activity this month, but there is so much more to cover as LIT looks to use its technology across all its projects in Australia, as well as making the most of this technology with regard to its partnerships in Canada, Mexico and Europe. There are also a range of prospects, resources and exploration programmes afoot. The Sileach large scale Pilot Plant engineering study is due imminently, acquisition of Greenbushes has been completed and the company is also aiming to commit to and complete construction of the pilot plant by the end of year, as a prelude to a commercial scale processing hub to be launched next year in tandem with other Sileach processing hubs in Europe and around the world. As most of our readers already know — having access to large amounts of lithium-bearing ore is not the difficult part. The difficult part is extracting high-grade lithium from plentiful supplies of micas and brine, found readily around the globe. The great news is that this relatively small company has the technology to meet these extraction needs and has aspirations to become Australia’s premiere source of high-grade lithium products. The iron is hot over at Lithium Australia (ASX:LIT). And that can only mean that it may be time to for investors to further consider this company, which holds what could be Australia’s best lithium processing-technology. Why is Sileach so important? LIT is building up its project base around the world, essentially so it can put its ground breaking technology into action. 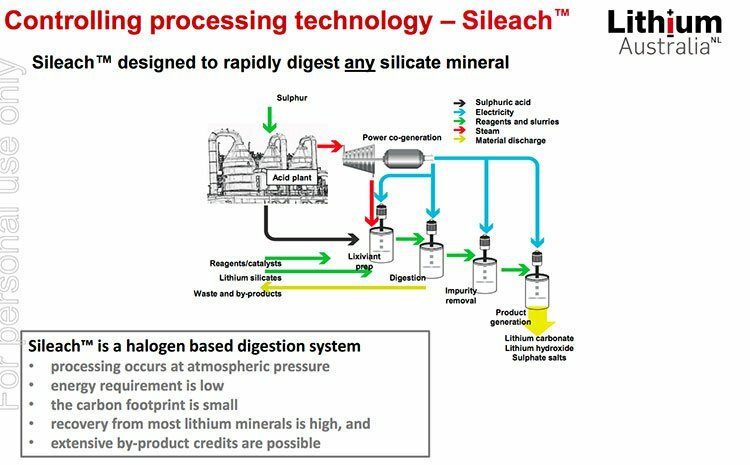 The Sileach technology has the potential to transform the lithium industry in much the same way froth flotation transformed base metal – froth flotation turned the waste dumps of Broken Hill into iron ore and untold wealth. Certainly this process will have a fundamental effect on LIT’s path to commercialisation. 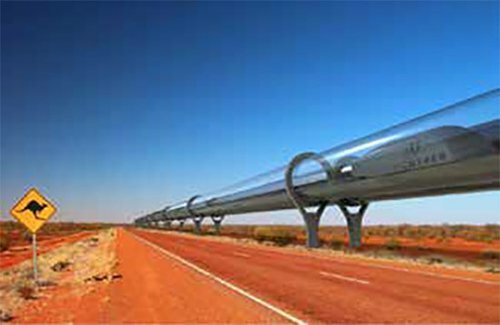 Laboratory testing of the technology is ongoing, and Pilot Testing has been ongoing at ANSTO, with a commitment to a large-scale pilot plant to be made by mid-year (design has already begun) and commercial production is to begin on completion of financing. Further credence to LIT’s commercial ambitions can be seen in the commercialisation agreement it has with the $434 million capped Pilbara Minerals (ASX: PLS), with which it has a key partnership to supply spodumene concentrates. 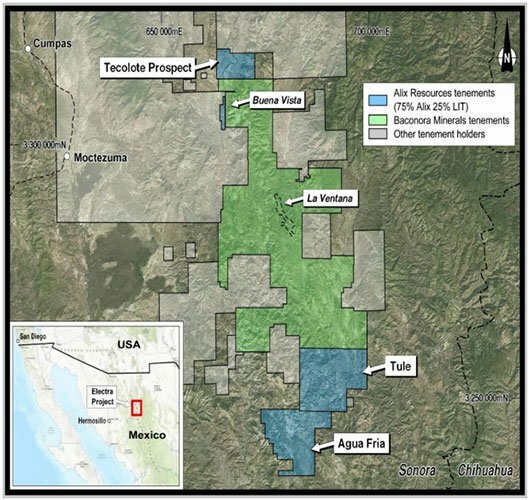 Its strategic alliance with TSX-V listed Alix Resources for the Agua Fria prospect at the Electra Project in Sonora, Mexico will also play a major role. In February, LIT entered into a binding MoU with Tin International AG to upgrade its JORC Resource in Sadisdorf Germany, for which it has the right to earn 15% of the established company by spending a total of 750,000 Euro on exploration until the end of 2017. Moving forward, LIT can further up its stake to 50%, all the while providing the Sileach technology to enhance this European lithium opportunity. LIT is essentially using its global alliances across Australia, Canada, Mexico and Europe to work towards resource security and combine its technology with its global resource portfolio. This portfolio includes 100% ground holding at Greenbushes , Ravensthorpe and Lake Johnston where it has defined lithium tantalum pegmatites and Gascoyne in WA, Bynoe in the NT, Kangaroo Island in SA and Cape York in Queensland. LIT is currently in an off market takeover bid for former partner Lepidico, with whom it helped develop the L-Max technology. The state-of-the-art tech was to be progressed according to slight tweaks in the specifications and varying geographical licensing agreements between Strategic Metallurgy (Lepidico) and Cobre Montana, (now Lithium Australia). However through the takeover bid for Lepidico and ultimately Lepidico’s L-Max technology, LIT now intends to create a global force in the lithium landscape, which the market has thus far been slow to pick up on. Thus far the acquisition has weighed on LIT’s share price and LIT has extended the offer period to May 19. The good news for LIT and its shareholders, is that irrespective of whether the takeover takes place, LIT could be considered great value given its current market cap of $28 million and its current assets under management. Even if the takeover bid falls over, LIT currently has the L-Max rights to Western Australia, as well as a further two international licences, which represents significant value as its stands. LIT is also spending money to expand its exploration at its home-grown and international; lithium projects. So the company is propelling forward on several fronts, regardless of the pending takeover outcome. It all adds up to a company, that given its assets, including its LieNa and Sileach technologies, could very well be significantly undervalued. Alternately, should the end result be in LIT’s favour, it is likely to create a unified company with a single brand, considering Sileach and L-Max are essentially the same technology, only with different settings. A bit like the difference in rules between rugby league and rugby union — with the fundamental point of trying to process high-grade lithium carbonate from hard-rock lithium-bearing micas. LIT can combine the commercialisation of L-Max and Sileach thereby achieving substantial savings in capital and development costs and potentially providing a single, one-stop-shop solution for lithium extraction and production. A larger entity would be created with which to pursue larger market goals – a combined group will allow for a larger balance sheet and greater market dominance. Most importantly, a larger company and brand could attract large lithium end-users (such as Tesla and Panasonic) to the negotiating table. As you can see from the map above, the two companies cover substantial ground. What’s also important for investors to remember is that LIT is an all-round lithium company with tenements, prospects, exploration programmes and ore deposits, spread across multiple continents and is well advanced down the commercialisation path. Should the takeover be successful, LIT would be on course to prove up both its range of exploration projects, and progress its Sileach processing technology — both commercially valuable pursuits in amidst the ongoing lithium market growth, fuelled by electric cars, gadgets and batteries. So, why has LIT taken this tack? Ten years ago, lithium was an exotic metal with unstable properties. Its most famous application was being prescribed to disturbed individuals as a means of regulating brain chemistry. Now, in 2017, lithium stands at the precipice of entering the world of commodities with as much gusto as crude oil did, back in the 1900s. Already being hailed as a potential replacement for oil and natural gas, lithium has a huge future ahead of it — with most of the hype emanating from battery manufacturers such as Panasonic (and in turn, their customers such as Tesla). Funnily enough, it was also the early 1900s where another historic parallel is to be found. In 1908, Ford began production of its Model T car, the first mass-produced petrol-powered combustion engine car in the world. Since 2016, Tesla has been manufacturing electric, lithium-powered cars at price points lower than their combustive counterparts — a world-first for the emerging EV sector globally. We’ve all heard of the advantages of broadband internet over narrow-band. However, according to the brain trust at Elon Musk’s SpaceX, the same concept can be readily applied to transportation. This is a conceptual design for what long-distance travel may look like in the not-too-distant future. Who needs high-speed trains, or even bullet-trains, when you can have a “cross between a Concorde, a railgun, and an air-hockey table”, whizzing you from Melbourne to Sydney in under an hour? 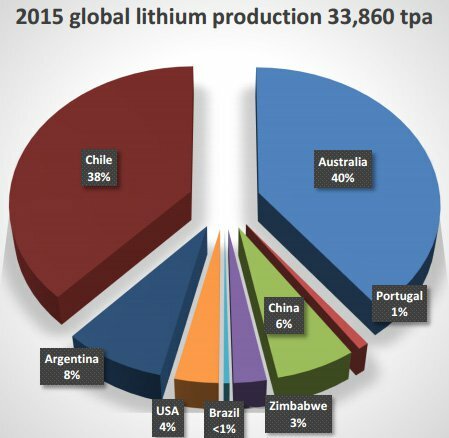 For Lithium Australia, these are opportunistic times indeed. LIT wants to become a bespoke supplier of customised high-grade lithium — in whichever specification and quantity required by end-user customers. Instead of building up a gargantuan resource and waiting for the phone to ring with offtake agreement offers, LIT has diversified its market assault through the disruptive power of cutting-edge modern technology. Sileach continues to churn out successful lab results, and is now on course to become a prominent component of lithium extraction globally. LIT is in the enviable position of potentially being able to achieve economic viability (and profits) without a single drill-bit or shovel in sight. That’s because LIT is as much of a tech-enabler as it is a lithium-miner. With LIT’s traditional lithium exploration also coming to the boil in parallel to its tech ambitions —LIT could very well have a bright future. For a company currently valued at less than $30 million, LIT could represent an excellent way to leverage the ongoing lithium boom and the oncoming lithium-ion battery bonanza set in motion by the cavalcade of gadgets cavalry-marching into consumer pockets and consumers’ homes worldwide. The potential completion of LIT’s takeover of Lepidico could also serve to create a new window of opportunity as the commercial value of Sileach, as well as LIT’s broader lithium-market plan can be fully deployed. This means that LIT could assimilate the L-max technology and go on to commercialise this Aussie-developed tech on a global scale. We will now wait to see how the takeover plays out.